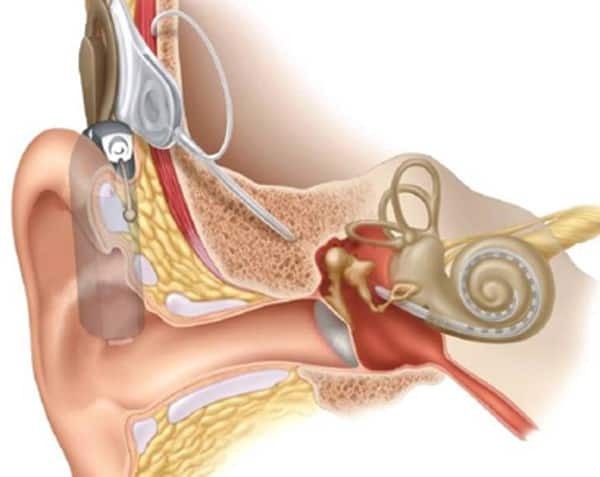 A cochlear implant is a device where an electrode is placed into the inner ear, traditionally used to manage bilateral severe sensori-neural hearing loss. A sound processor (visually like a standard behind the ear hearing aid) is then worn and communicates to the implant via a magnetic connection. They have revolutionised the management of severe hearing loss not only in children but for millions of adults. The procedure itself is now routine surgery, which is low risk and involves an overnight stay in hospital.